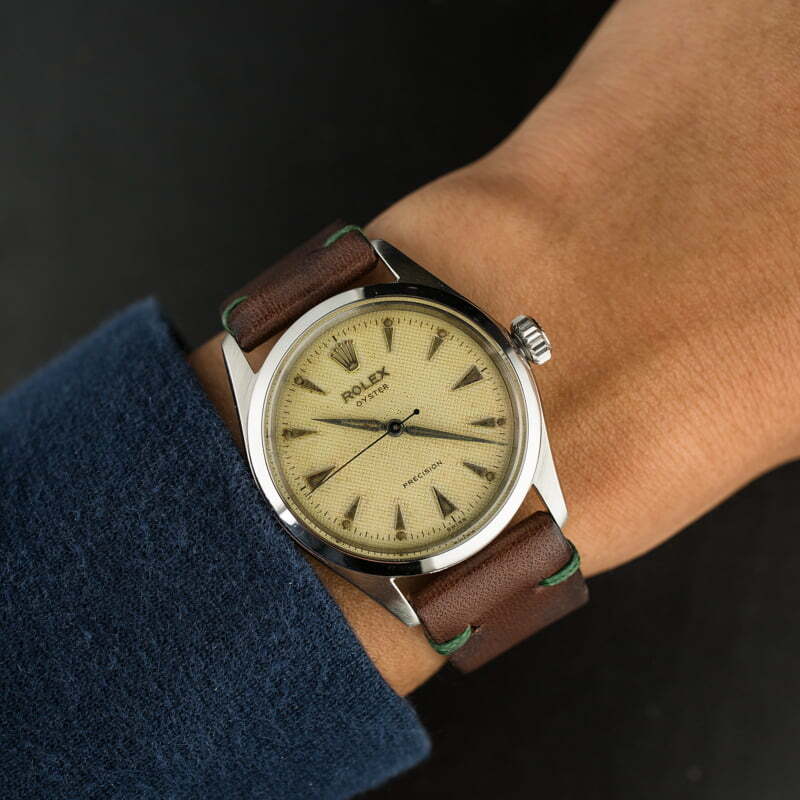 There's nothing else quite like the way a vintage Rolex feels and wears on the wrist. 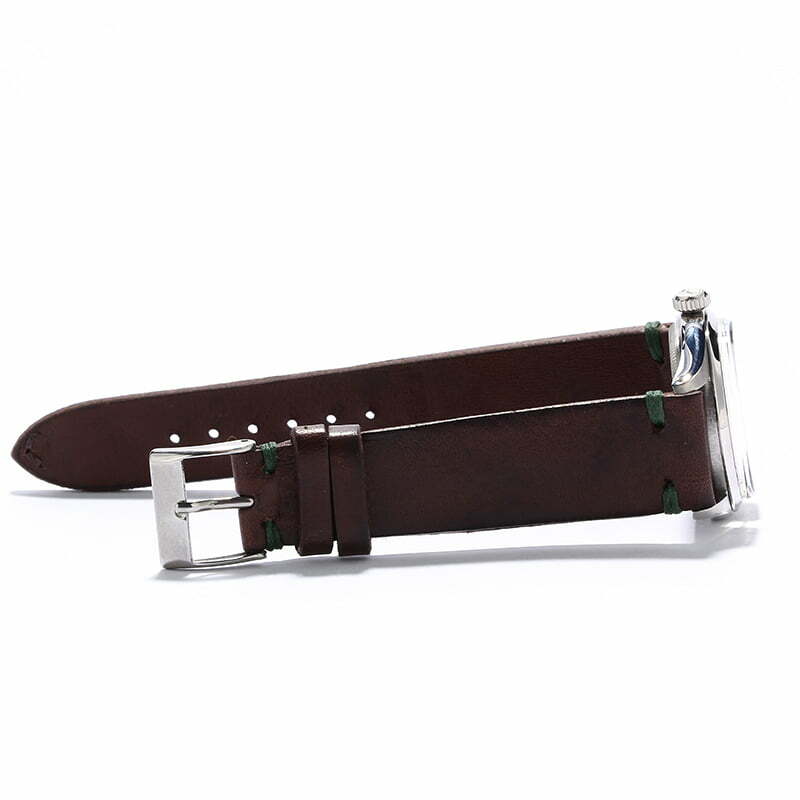 The case is often topped with an acrylic crystal, similar to the Oyster Precision ref. 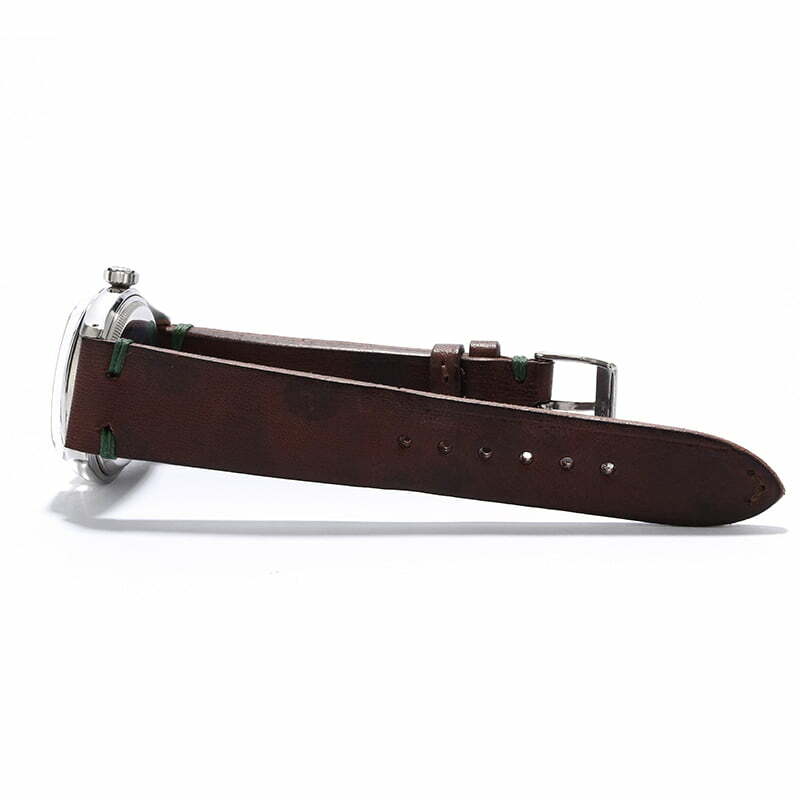 6492 that we have listed here today, which is slightly thicker than modern timepieces. The case is also often slightly more modest in diameter, with many vintage Rolexes measuring 34mm across the round of the case. 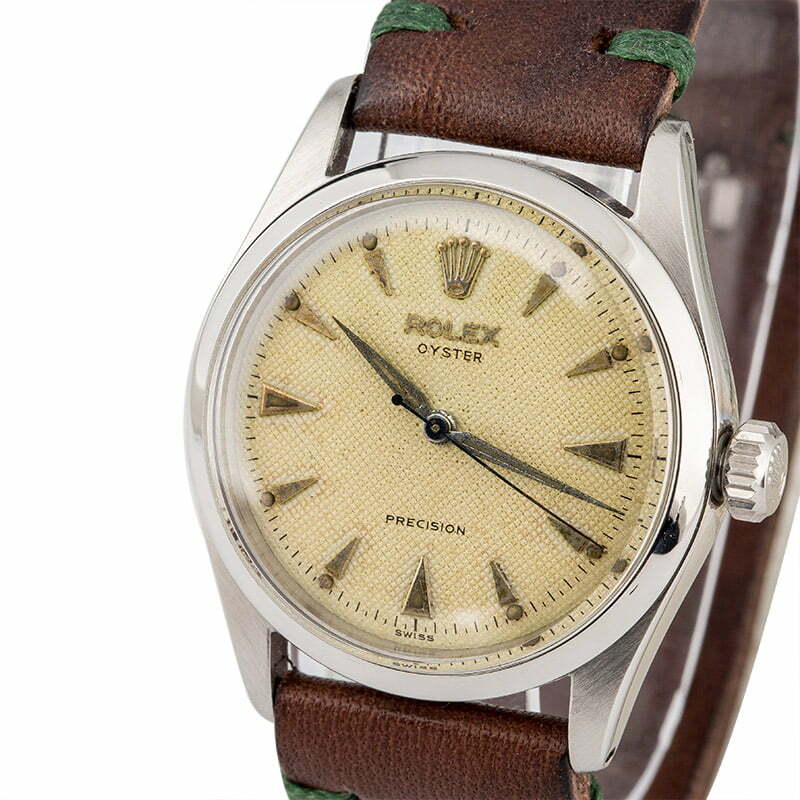 This particular secondhand Rolex pairs the stainless steel case with a striking ivory waffle dial, topped with beautifully aged arrowhead hour markers and Alpha hands. 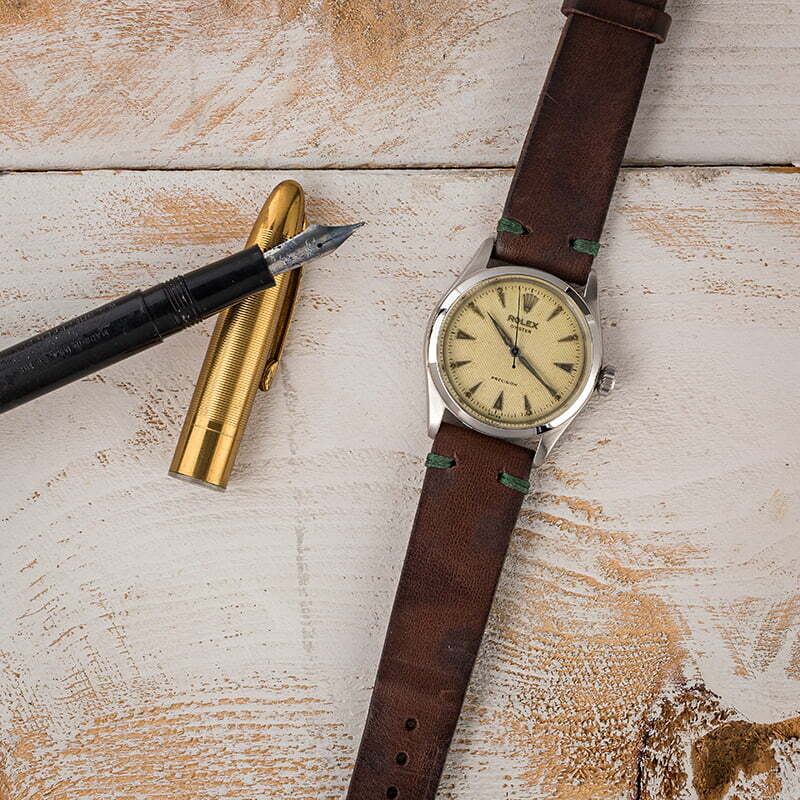 The patina of the dial alone is enough to win over even the most experienced vintage collector.